My brand of CC can best be described as assorted garbage. 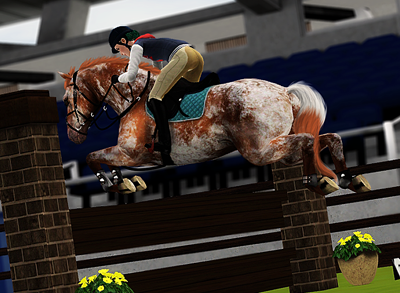 I release a senseless medley of markings, templates, coats, and retextures at random times and intervals. Most of it is mediocre, I'm gonna post it anyway. 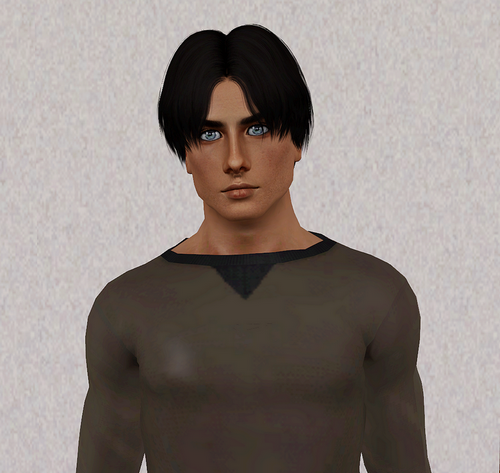 Please feel free to use my CC as building blocks for new CC or edit this for your own personal use. As long as you give me due credit, I'm more than happy to see my creations being used around the community. However, please do not place any CC that was made using my content behind a paywall, Adfly, or do that "released after x many likes!" thing with it. Also, it goes without saying, but don't use my stuff and sell it to other players as your own stuff. 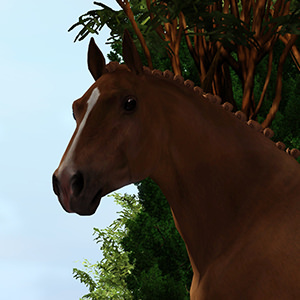 I am not taking CC requests at this time and have no plans to take them in the future. 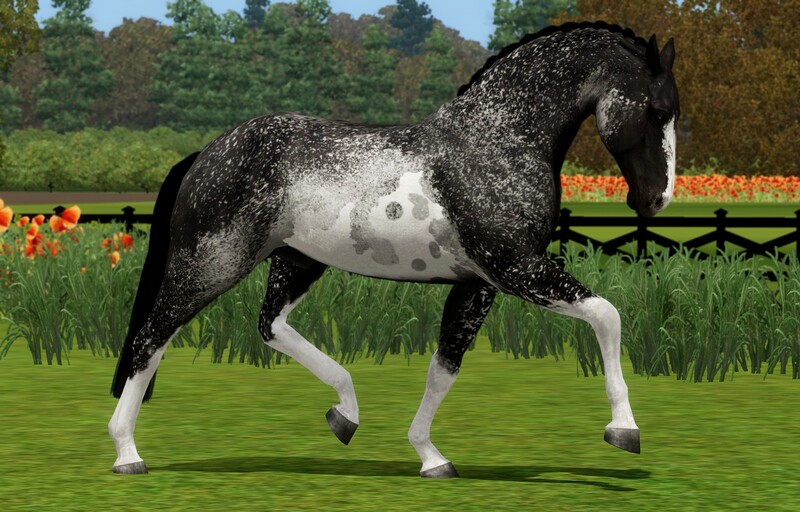 20 leg markings so your horses can have the pretty legs they deserve. Download in first post. Use them as they are, edit them a bit, or toss white markings over them. All I ask is that you enjoy them and don't claim them as your own. Found among your other movable markings. Great for "softer" dappled looks. These are a collection of 12 movable markings made from the brushes I use to make my own custom DW and sabino markings. (Thanks to @Samantha-Lockhart for pointing me towards these brushes in the first place!) 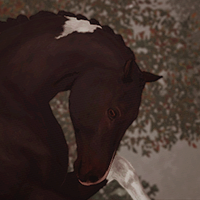 They are very high resolution (2k) and are a wide selection of roany spots, ticking, and solid splotches that can be used to make all sorts of coats. They'll also be good for making chimeras, somatic mutation, bloody shoulders, etc.... the possibilities are endless, have fun with them! Big thanks to my testers, Cole Tieman and Maci Collins. This is a DW/sabino coat I made using these markings in white and public leg markings on a black base This is a very clever coat from Cole, made using only these markings in cream on a white base. Finally, a stunning sabino ASB made by Maci using my sabino leg markings and these movable ones, as well as a public face marking. Thanks again to my testers for demonstrating how these can be used for coats! Thanks a lot for those marking I must try them !! Do you also have a link to those brushes for gimp/photoshop ? 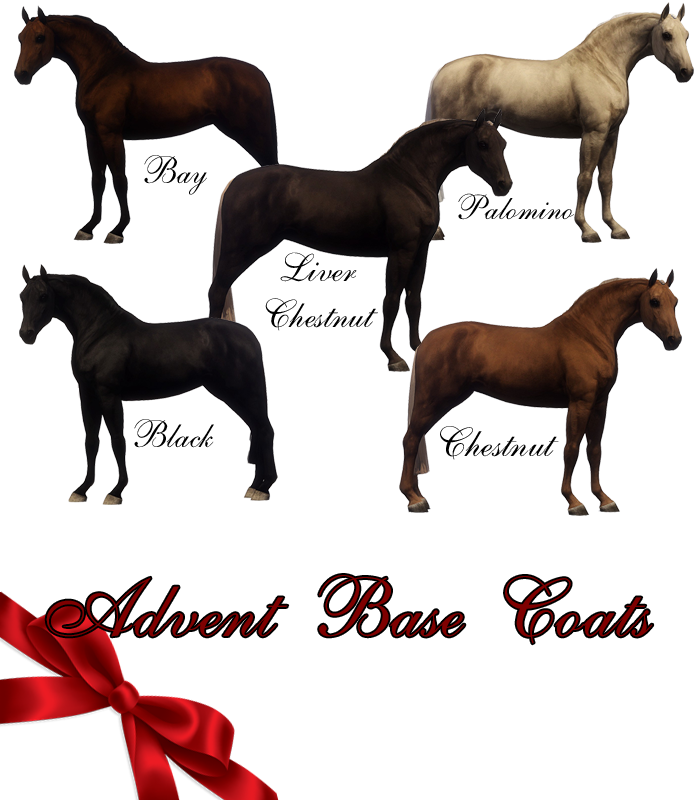 You guys really seemed to enjoy the markings I released for advent, especially the coronet bands with ermine spots and matching hoof stripes. I had a lot of people ask if I planned to make more variations of them on different leg markings. 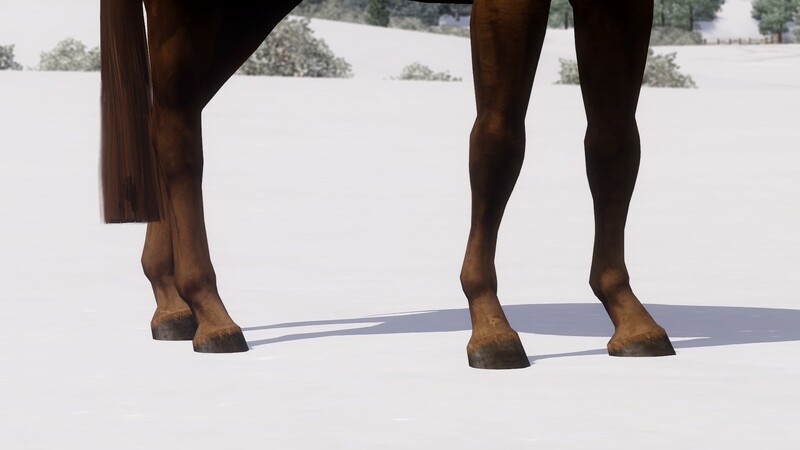 I was initially going to release a set of leg markings, but then I decided to do you one better. These markings are the ermine spots themselves with stripes that line up with them. 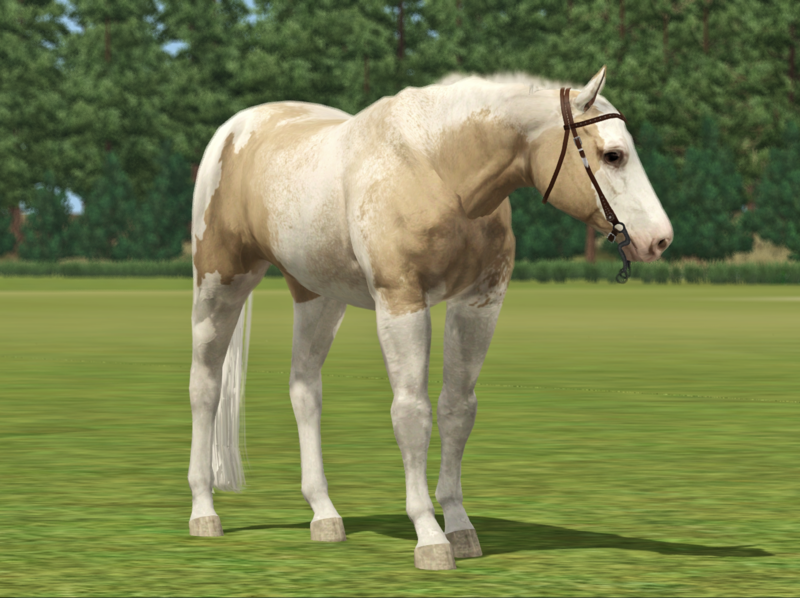 Use them in a color that matches your horse's coat color and put them on any leg markings you want to give them a new, unique look with a simple trick. There are 4 sets here with 16 markings total so you can use them in endless combinations. Download is in the first post. 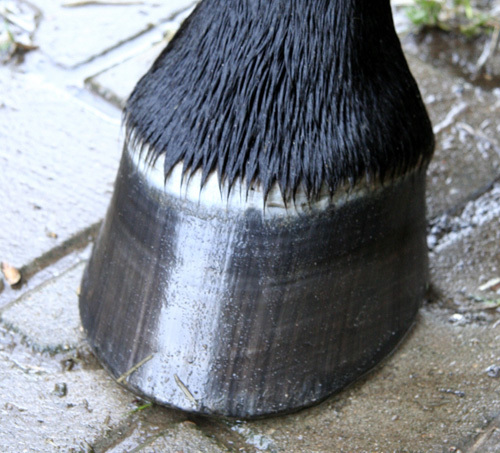 Because horse hooves have hair falling over them! These are markings, not accessories or hair meshes. They are very high resolution markings (4k!). 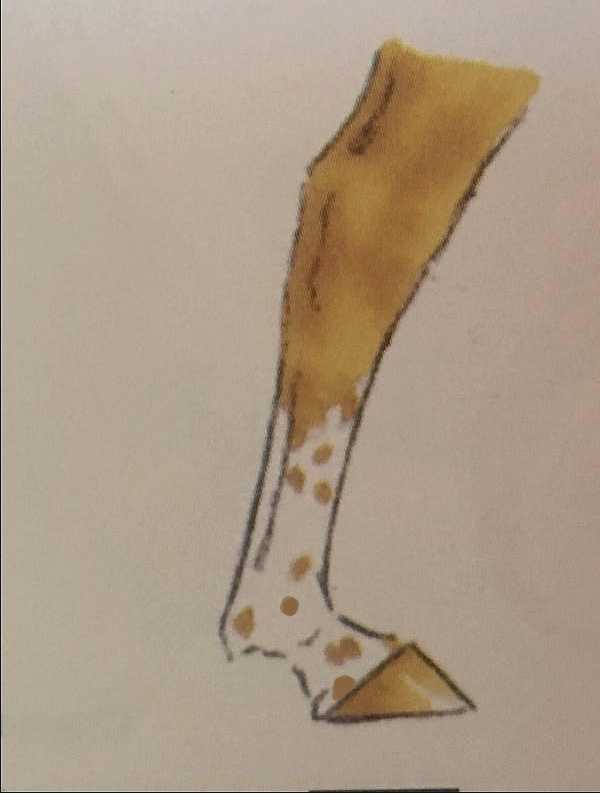 There are 10 total markings here; a long and short version for all hooves (assigned to belly region) and an individual marking of each type found under the corresponding leg categories. 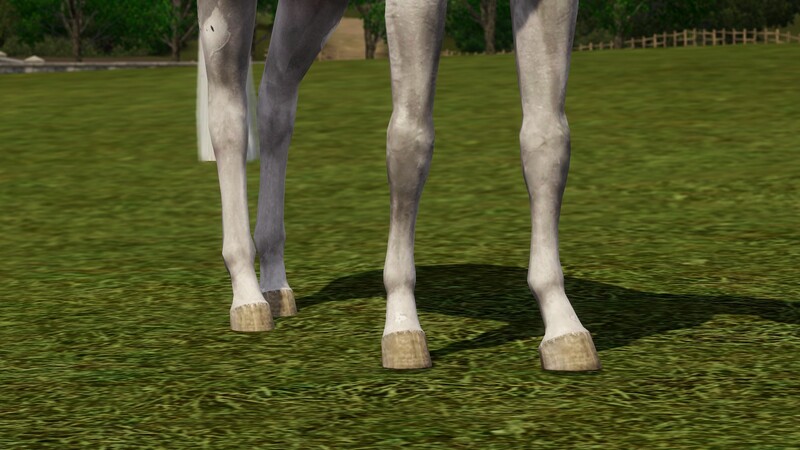 How to use: assign them to your horses legs as needed- horses with different colored legs will need to use the individual ones, horses with all 4 legs the same color can use the marking found under belly that adds the hair to all 4 legs. 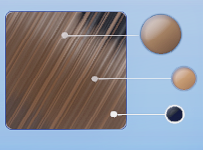 Each marking has 3 channels- the first is the main hair color, the second is the highlights on the hair, and the last is the shadow beneath the hair for some added depth. Click on the images below to see them in full size! A: Yep, these won't work super nicely with my (or any) ermine sports. I'm aware, and I may release a set of hoof hair recolors to match my ermine spots. But that's a ton of work I'm not ready to take on just now, so don't hold your breath for them. 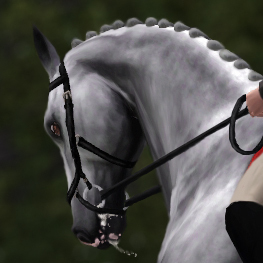 Q: I'd like these recolored to match my horse's custom markings, can I edit them myself? A: Absolutely! I'd love to see how people use and edit these markings for their needs. 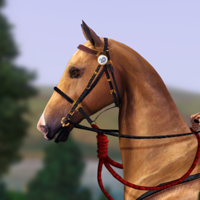 Q: I'd like these recolored to match my horse's custom markings, will you edit them for me? Your genius would be alarming, if it wasn’t so damn consistent. You think you could create this for all legs ?